QuickPro Locksmith offers emergency expert commercial locksmith in Brookhaven, GA and all surrounding areas. Security is important for Brookhaven, Georgia businesses of all sizes. Not only do companies have a responsibility to secure their valuable assets, but they are also legally obligated to protect the safety and wellbeing of their employees, customers and anyone that steps foot on their property. If you want to avoid property loss or a personal injury lawsuit, it’s vital that your business invests in a quality security system. Many people assume this means installing a commercial alarm and getting a premium insurance plan. While these are certainly great ways to get fast help from authorities and be reimbursed for losses, they may do little to prevent a break in from happening. The best way to help your business avoid problems posed by burglars, vandals and criminals, is to have well maintained high security locks and emergency exit devices. When you need a commercial lock repair, high security lock installation or other Brookhaven locksmith service, call the experts at QuickPro Locksmith. We proudly provide premium residential and commercial locksmith services in Brookhaven, GA and surrounding metro Atlanta communities. Call today for more information or to schedule an appointment with an experienced commercial locksmith in Brookhaven. Have you suffered from a failed break in attempt that left your current locks damaged? Don’t leave yourself vulnerable to further attack. Get your locks fixed fast with help from the Brookhaven locksmith mobile services. We will come to your location at your convenience and get your locks repaired or replaced, so you can get back to business as usual without compromising your safety or security. Is your business still depending on minimum standard pin and tumbler locks to protect your assets? Lock picking tools and bump keys can be purchased for $10 and the internet provides a treasure trove of tutorials for breaking into these kinds of cheap locks. Upgrade your locks with a keyless entry system or high security locks today. Most criminals are looking for an easy target. Make sure that your company sends a strong message by investing in quality locks that will stand up to frequently used techniques. A lot of locksmith companies refuse to take phone calls after normal business hours. Unfortunately, many lock problems can arise after sunset or over the weekend. Are you locked out of your retail store or restaurant early on a Sunday morning? Has someone broken into your store overnight and you need an emergency lock repair or installation before your doors open to the public? 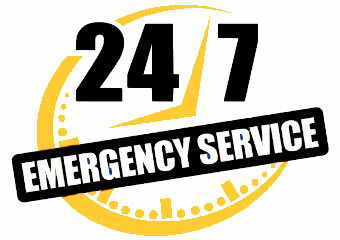 Call QuickPro Locksmith, and we’ll send a team to the rescue right away, 24 hours a day, 7 days a week. Does your Brookhaven business a new high security lock installation, commercial lock repair or emergency lockout service? Then call the QuickPro Locksmith experts today. Our team of highly trained, experienced locksmiths will come to your location with all the tools and talent it takes to get the job done quickly and affordably. Contact our customer care staff today to discover more information about our offerings or to schedule an appointment with a commercial locksmith in Brookhaven, GA or a nearby metro Atlanta area city.